WASHINGTON, Nov. 18, 2013 – Traveling around the combat theater over the past four months, Army Lt. Col. (Dr.) James Geracci was on a quest. Like his contemporaries in military medicine, Geracci, a family physician and operational medicine specialist, is thrilled about advances over the past 12 years of conflict that have elevated casualty care to a whole new level. Every soldier, Marine, airman and sailor on the ground is now trained as a medical first responder in basic lifesaving skills. Medical evacuation response times have dropped dramatically, and the system now moves casualties through progressive levels of care faster than ever imagined possible. Advanced lifesaving techniques are applied throughout the continuum of trauma care, reducing blood loss, controlling brain swelling, salvaging limbs and saving lives. But the military trauma community sees its glass as half empty rather than half full. Instead of celebrating the advances that enable 98 percent of U.S. combat casualties that reach an advanced treatment facility to survive, they’re focused on improving the odds for those who don’t. So as Geracci recently traveled around the combat theater, he went directly to the front-line commanders and combat medics he and his fellow medical professionals believe hold the key. All were familiar with new reporting and documentation procedures that require them to document the care they provide at the point of injury and as casualties are evacuated to advanced-level care. But what Geracci quickly realized hadn’t trickled down through the chain of command was the “So what?” So he and his team took that message directly to more than 1,400 medics assigned to small combat outposts and forward operating bases across Afghanistan, as well as to their nonmedical commanders and noncommissioned officers. Air Force Col. (Dr.) Mark Mavity, the U.S. Central Command surgeon, calls that recognition one of the most significant new developments in casualty care for troops in Afghanistan. The Department of Defense Trauma Registry, established in 2005 as the Joint Theater Trauma Registry, offers detailed information about every trauma patient treated at an advanced theater facility. It tracks patients from the moment of arrival at the closest field hospital or other facility, through each movement to more advanced levels of care, and ultimately through rehabilitation. The registry also includes autopsy results from every casualty who died. Eight years since its introduction, the registry has become the world’s largest combat casualty care databank. By studying it, medical professionals have been able to verify which treatments were the most successful and which weren’t, and to flag areas where new or different procedures or technologies might improve survival rates and patient outcomes. Lessons learned through the registry have resulted in “best evidence-based best practices,” he said, propelling many of the advances in caring for casualties and preventing them in the first place. The formal documentation of injury patterns, for example, led to improvements in personal protective equipment ranging from protective ballistic undergarments to ancillary plating that protects the groin, shoulders and neck. 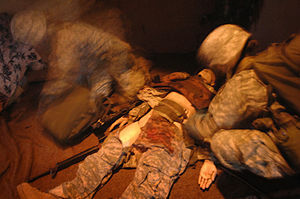 The registry also provided statistical evidence of the importance of immediate intervention during the so-called “golden hour.” That led then-Defense Secretary Robert M. Gates to institute a policy in 2009 reducing the timetable for medical evacuation to 60 minutes. Data provided by the registry also validated the use of tourniquets and led to new approaches to transfusions, resuscitation procedures and hemorrhage control. But trauma surgeons recognized a glaring weakness in the registry. Because it was based on care delivered at treatment facilities, it omitted critical information about the care provided before the patient ever got there. That “prehospital environment” was where most combat deaths occurred. “So that is where we saw the greatest opportunity to make improvements,” Bailey said. That led to the stand-up of the Pre-Hospital Trauma Registry initiative earlier this year. Army Col. (Dr.) Russ Kotwal, a family and aerospace medicine specialist assigned to the Joint Trauma System at Fort Sam Houston, Texas, was a pioneer in championing this concept. Working for more than a decade with the special operations community, much of it with the 75th Ranger Regiment, he formulated a precursor to the militarywide prehospital registry in the late 1990s. “I saw a huge gap,” he said, lacking any documentation of patient care at the initial point of injury and on evacuation platforms. Knowing that the success of his effort would depend on the first responders, Kotwal made the documentation process as simple and straightforward as possible. He and his senior medics changed an outdated field medical card that was standard at the time to one that focused solely on tactical combat casualty care. 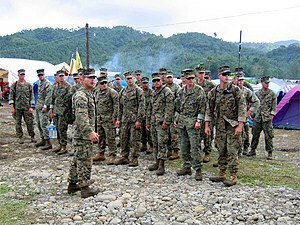 Every 75th Ranger Regiment member was issued a card as part of their basic equipment, and required to keep it in a standardized location on their uniform. That way, first responders knew exactly where to look for the card if they had to report the care they provided a comrade. “They filled it out as they provided care if they could,” Kotwal said. Sometimes they were overwhelmed with providing care or the evacuation process was so quick that they couldn’t immediately get to it, he said. “But they did it at the first opportunity,” he added. As a double-check to ensure the reporting wasn’t overlooked, Kotwal also got the requirement integrated into the after-action review process. “This is something line guys do very well. Every time they come off a mission, they go directly into an AAR and do reports based on the mission so they can assess it and make improvements,” he said. Through this process, the 75th Ranger Regiment developed a rudimentary pre-hospital trauma registry, refined it over time and expanded across the special operations community, Kotwal reported. Kotwal later joined the Joint Trauma System team to expand this concept to conventional forces. Geracci, a former division surgeon in Afghanistan, said he, too, was “excited about the advancements taking place in facilities-based care,” many attributable to the Joint Trauma System and its trauma registry. Geracci said he “jumped” at the chance to be one of the Centcom Joint Theater Trauma System’s first pre-hospital directors in the combat theater to address the gap. “We’re building on the work already proven for about a decade on the special operations side and taking those exact same principles and importing them into the [combat] theater,” he said. He credited combat medics and their commanders on the ground who are putting that tool to work as they complete casualty-care cards and AARs. WHITE BEACH NAVAL FACILITY, Okinawa, Nov. 17, 2013 – Approximately 900 Marines and sailors of the 31st Marine Expeditionary Unit, part of the 3rd Marine Expeditionary Brigade, aboard the USS Germantown and USS Ashland dock landing ships are heading for the Philippines to join U.S. and Philippine forces in support of ongoing humanitarian assistance and disaster relief efforts as part of Operation Damayan, which means “lend a helping hand” in Filipino. was received to support Operation Damayan. PT MUGU, Calif. (NNS) — The Navy’s newest variant of the Fire Scout unmanned helicopter completed its first day of flying Oct. 31 at Naval Base Ventura County at Point Mugu. At 12:05 p.m. PDT the MQ-8C Fire Scout took off and flew for seven minutes in restricted airspace to validate the autonomous control systems. The second flight that took off at 2:39 p.m. was also flown in a pattern around the airfield, reaching an altitude of 500 feet. 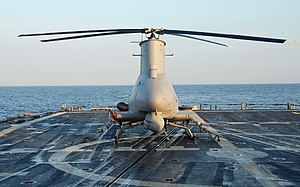 The MQ-8C air vehicle upgrade will provide longer endurance, range and greater payload capability than the MQ-8B, which is currently operating aboard USS Samuel B. Roberts. The MQ-8C is a larger air vehicle, has a range of 150 nautical miles and a payload capacity of more than 700 pounds. The MQ-8Cs will conduct initial shipboard testing on Guided Missile Destroyers (DDG)-class ships but the program is looking into supporting Littoral Combat Ship (LCS) missions. The Navy will continue to use the MQ-8B as it phases in the MQ-8C. Lessons learned from MQ-8B have been applied to MQ-8C variant, Smith said. Initial operating capability for the MQ-8C is planned for 2016, with a potential for early deployment in 2014.